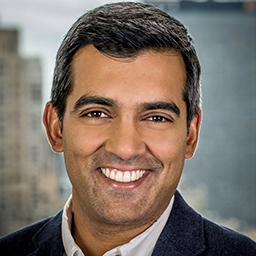 Manas Mohapatra is Senior Vice President and Chief Privacy Officer at Viacom, where he leads the Company’s privacy and data protection efforts across the globe. Prior to joining Viacom, Manas held a number of positions at Twitter, including Head of Privacy and Data Protection and Associate General Counsel, Products. Before Twitter, Manas was a consumer protection attorney at the Federal Trade Commission, where he enforced federal privacy and consumer protection laws. At the FTC, Manas brought enforcement actions in multiple cases involving allegations of unfair or deceptive privacy and security practices, including the FTC's settlements with Facebook and MySpace. He co-authored the FTC Staff Report: Mobile Apps for Kids: Disclosures Still Not Making the Grade and also served on detail as an attorney-advisor to then-FTC Commissioner Edith Ramirez. Prior to joining the FTC, he was a litigation associate at Goodwin Procter, and a judicial law clerk for the Chief Judge of the U.S. District Court in Puerto Rico. Before law school, Manas worked as a senior web developer for Nickelodeon Online and as a database programmer for a distance education software company. He received his bachelors’ degree from Johns Hopkins University and his law degree from Northwestern.